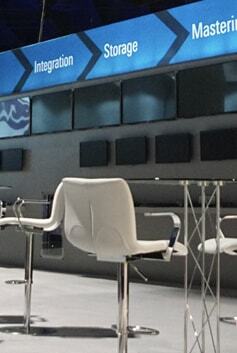 Rohde & Schwarz has been active in the field of TV and sound broadcasting for almost 70 years. The company has significantly contributed to the development of broadcasting, spanning the entire range from the analog to digital standards to the current high-definition formats. As long time participants at NAB Show, SGX and Rohde & Schwarz were familiar with each other’s focus on quality, innovation and service. 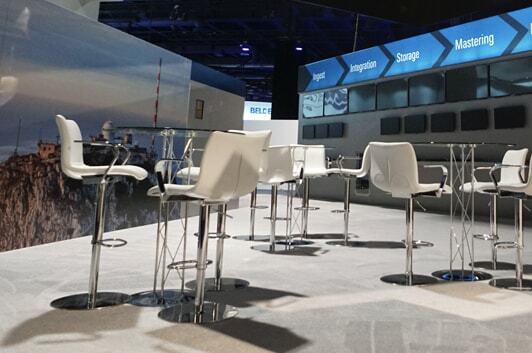 In 2016, Rohde & Schwarz engaged SGX to design and build a new exhibit for NAB. The new exhibit was completed on time, under budget and acknowledged by Rohde & Schwarz as their best ever NAB Show exhibit. SGX is most proud of the complements regarding customer service and response time. 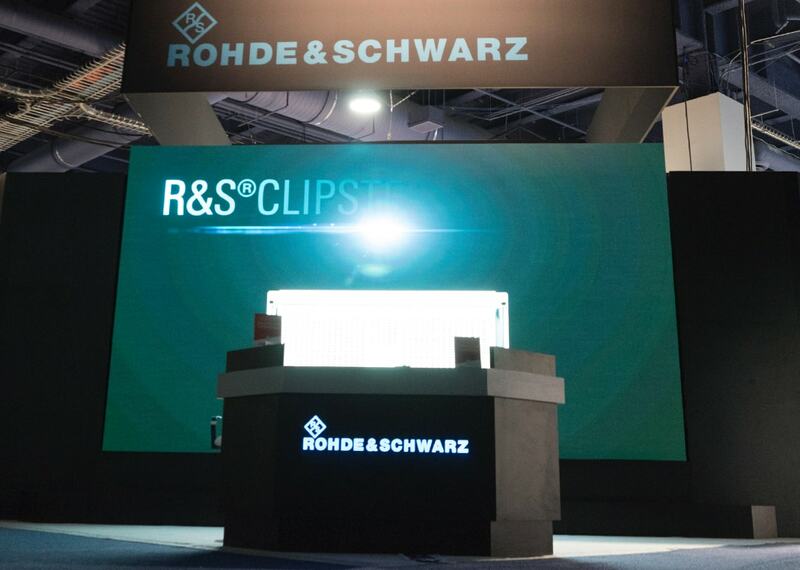 The new 40 x 50 exhibit featured a powerful and impressive video wall designed into the registration/welcome area of the booth, custom hanging sign, plus large open reception area surrounded by more than 20 monitor screens of various sizes showcasing Rohde & Schwarz broadcast technology solutions.